The Government has signed a deal with Auckland Council pledging up to $1.7 billion of taxpayers' money for Auckland's City Rail Link. Associate Finance Minister Steven Joyce and Transport Minister Simon Bridges say the Government has agreed for taxpayers to fund half the cost of the 3.4 kilometre underground train line, which has an estimated total cost of between $2.8 billion and $3.4 billion. "The Government and Auckland Council will need to develop several agreements to bring the funding, governance and risk management arrangements into effect, principal among which is a sponsors’ agreement [The principals to the agreement, referred to as 'sponsors,' are the Government and Auckland Council]," Joyce and Bridges say. "The Sponsors’ Agreement will set out the detailed terms of the Crown and Auckland Council’s partnership to deliver the City Rail Link, including a target cost for the project and framework for responding to cost overruns, the parties’ requirements for the project and how the project will be governed and delivered." Auckland Mayor Len Brown described the signing of an agreement with the government on 50/50 funding between the council and government for the City Rail Link as "unprecedented and an historic milestone." By way of a cost comparison, Auckland's Waterview Connection project which the New Zealand Transport Agency describes as the country's largest and most ambitious roading project, is expected to cost $1.4 billion. Half of the new motorway being constructed, or 2.4 kilometres, is underground. The Waterview Connection is being fully funded by the Government with taxpayers' money. “The Heads of Agreement sets out in-principle commitments from Government and Auckland Council, and contains broader funding, governance and risk management arrangements. 1. What is the City Rail Link (CRL)? The City Rail Link is a 3.4km double track underground rail line that will turn Britomart into a through station, and link it to two new central city stations (near Aotea Square and Karangahape Road). The new line will connect to a redeveloped Mount Eden station, where it will rise to the surface to meet the existing Western line. 2. What are the benefits of CRL? The City Rail Link will improve access into Auckland’s city centre, reduce journey times for rail commuters in Auckland and double the capacity of Auckland’s rail passenger network. 3. What is the total cost of CRL expected to be? Auckland Transport’s 2015 business case for the CRL estimated the cost of the project to be between $2 and $3 billion, applying a 20% cost range. After completion of more detailed design work to further refine the needs of the project, officials put the current estimated cost at between $2.8 billion and $3.4 billion. This is an estimate and will be subject to further changes following formal engagement with the market. The Government will be expecting the final cost to represent best value for money for taxpayers and ratepayers. 4. Why have the costs increased? As is common with large infrastructure projects, early estimates of the costs represent a best-informed estimate at the time, and are subject to change as planning and design progresses. More detailed design work by Auckland Transport to further refine the needs of the project has allowed cost estimates to be more accurately developed. However, these still reflect a best-informed estimate using the information currently available and are subject to further changes following formal engagement with the market. 5. Why is the Government providing funding? The Government’s commitment to the CRL reflects strong growth in rail patronage in recent years and provides more investment certainty for property developments around Auckland’s CBD, including around the new and improved stations at Aotea Square, Karangahape Road and Mount Eden. 6. What is a “Heads of Agreement”? A Heads of Agreement sets out the main issues relevant to a partnership, including the roles and responsibilities of the parties involved, before a more detailed partnership agreement is drawn up. 7. What does the Heads of Agreement cover? The Heads of Agreement contains an in-principle commitment from the Crown and Auckland Council to fund the CRL on an equal basis, subject to a number of arrangements around the funding, governance and risk management of the CRL. 8. What does the Heads of Agreement mean for CRL construction? The Heads of Agreement provides certainty to suppliers of the Government’s involvement in the project on an equal basis with Auckland Council and both party’s intention to establish an independent Special Purpose Vehicle to deliver the CRL, working with Auckland Transport, KiwiRail and others as necessary. 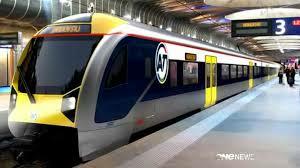 Auckland Transport will continue to deliver the project in the interim period. 9. What is yet to be agreed? The Government and Auckland Council will need to develop several agreements to bring the funding, governance and risk management arrangements into effect, principal among which is a Sponsors’ Agreement. 10. What will be covered in the Sponsors’ Agreement? The Sponsors’ Agreement will set out the detailed terms of the Crown and Auckland Council’s partnership to deliver the CRL, including a target cost for the project and framework for responding to cost overruns, the parties’ requirements for the project and how the project will be governed and delivered. 11. When will a Sponsors’ Agreement be signed? The Sponsors’ Agreement is likely to be signed in early 2017. 12. When will CRL be completed? The CRL is expected to be completed by 2023/24. · A 50/50 funding arrangement where Auckland Council and the Crown each pay half of the total capitalised costs of the project. · The principals to the agreement, referred to as “sponsors”, are the Government and Auckland Council. · The establishment of a company (City Rail Link Limited) through which the Government and Council will oversee the delivery of the project. · Joint share in development opportunities arising from the project. · The technical and operational aspects of project delivery are to be carried out by Auckland Transport working to the City Rail Link company. · KiwiRail have a formal role in ensuring the CRL’s interoperability with the wider rail network and the services it provides, such as freight. yeah, but if a local road only (around) 50% - given its only 3.4 kms they're looking at it as a local road. Probably a logical and equitable way to view it. The current one is SH1 - unless they change the designation of SH1 I'm guessing the same formula would likely occur. Of course Tauranga tolled theirs but not sure what the government contribution was. Why should the rest of New Zealand as taxpayers pay $100,000 per meter to jam more people into Auckland. Possibly because Auckland one of the main drivers of the NZ economy and this will help it pay more tax to benefit the whole of New Zealand? Auckland is a failing "Think Big' project with GDP per person falling year on year for the past couple of decades ( approx) at least. GDP per person is fast approaching that of Timaru or Temuka. GDP per person would be greater in Timaru or Temuka. Because our taxes from Auckland pay for state highways around the country. Would be interesting to know what % of government total tax take comes from Auckland. I wouldn't be surprised if it is over 50%. I think your calculations are way off, even the government has admitted if the rest of the country knew the proportion of taxpayer money that's being spent on Auckland, it might not be very happy. Maybe on infrastructure. But what about health and pensions with Auckland having a lower average age than rest of nz. Really the CRL is a very small percentage of govt spending over the 5 year period or so it will be built. thanks for the facts ian. Any idea what the tax take from Auckland is? Why should the rest of NZ pay? - because that's how tax works! The state collects from everyone and then spends it where and when it is needed. If you disagree with how the government does that then you can vote them out. I will never use many of the facilities (schools, hospitals, roads etc.) through out the country but that doesn't mean my Auckland tax should not be used to pay for such things. And as it has been shown that more tax flows out of Auckland than in. Your argument seems deep but the more one thinks about it the more one realizes that it is complete nonsense. But you have likely used the schools, hospitals, roads in Auckland, so why are you moaning about them in the rest of the country? does the rest of the country not deserve to have them? I think you can be reasonably confident your tax didn't pay for them anyway, it wouldn't have even covered the 10's of billions of what Auckland has had recently spent on it and is planned. Don't be too surprised if the rest of the country gets a little jealous at the constant tax payer spend on Auckland, most other large towns or cities would love to have got a 20th of the money spent on it that Auckland has had in the last 10 year plus. If you actually read my comment then you will see that I never moaned about hospitals or schools in other parts of the country - I am glad they exist and I am happy to pay my tax to fund these and other such things. However, the figures show that Auckland pays more tax than it receives but my main point is that's how tax works - collected from everyone and then spent where the Government decides (thankfully we are a democracy). If the rest of the country gets jealous then I would remind them that Auckland was going to have a regional fuel tax, and can have road pricing, but the current government doesn't like these ideas because it means that Auckland will have its own source of revenue and won't be the poor beggar that it is now. There are only a handful of cities in nz that have more than one 20th of the population of Auckland so yes most would be lucky to have one 20th of aucklands spending. "And as it has been shown that more tax flows out of Auckland than in. " Could you please provide a reference for those of us who are more ignorant? Clearly this is a huge win for Auckland. Lots of people, with Mayor Brown taking the lead, over a number of years have contributed to this finally been signed off. This will transform the entire train network and, hopefully, the central government will now see the logic of extending rail to the North Shore and the airport. The Airport I agree with, North Shore ? Im more inclined to build a wall to keep them out. Since I am exiled on the North Shore I am inclined to disagree. Big Like for your user name, got that record in the collection. What a massive amount of ratepayer and taxpayer money that is required from all over Auckland and NZ respectively! For so few people. And there is also the as yet unbudgetted ratepayer subsidies required for the running costs. Not forgetting that the fares will not be cheap either! So cities like London and Sydney are turning off their rail systems and building more roads? Are you telling me few people use those systems too? They should have built more roads like we have been ineffectively doing? The point is that the rail systems you mention require massive subsidies to keep them running. If they were made user-pays the fares would be unaffordable. Rail is yesterday's technology. Len Brown is anti-bus. By not putting in any new bus lanes he had deliberately made Auckland come to a standstill. All with the aim of forcing people onto his trains to meet the govts patronage requirement. Imagine all the bus lanes which could be built for 3.4 billion! It would solve the whole of Aucklands problems not just South and West Auckland. Electric buses will be the next technology. You do know that Auckland Transport makes those decisions and not Mayor Brown? you have Train or light rail run along long thin routes and the buses transport people around the suburb to and from train station all on one ticket. you move more people with better costings and faster. Where exactly was he going to put these bus lanes? The main reason for going underground is that they have room to build under existing roads. Lets hope they don't make a wrong turn and undermine the Sky Tower. Cars receive massive subsidies in terms of free land use, pollution, etc. if you don't believe me, why do you think there is no right wing party wanting to fully privatise the roading system? If you properly privatised it with market pricing for land under the roads, how much do you think it would cost to drive over the billions of dollars of land gifted to roads in Auckland city? Why don't roads pay rates? How much is spent on fatalities and injuries from cars? How much pollution is created by cars? If Auckland's doing so well why do they need our help? Maybe a 15% tax on the foreign property speculators ( over 30% of the market) and a capital gains tax on 'investment' property flippers should be used to pay for it. I'm getting tired of these socialised costs subsidising privatised gains. The plan was a targeted fuel tax on Aucklanders to pay for it but your National Govt said no in 2009. "Chi e causa del suo mal pianga se stesso"
What do you mean by 'our help'? Do you have any evidence that Auckland receives more than it's fair share of total government spending? Remember that Auckland has 30 times the population of say Napier, so it should get around 30 times the spending. The lack of infrastructure build in Auckland is a disgrace, and it's because for the last fifty years Aucklanders have refused to front up with the cash. Don't build for fifty years and you get the mess you now have. If it's such an economic powerhouse then Auckland would pay for it. But the truth is that Auckland is not an economic powerhouse and Aucklanders don't have any money. I think Auckland would be happy to pay for it but I assume we then don't have to pay tax to a central government? Why should we do both? Quadruple the rates and build infrastructure Auckland. Get a rail loop and importantly an airport rail connection. Fast rail up the north shore now. Or DC's suggestion of shared car systems on short term hires. Whatever. On second thoughts increase the rates six times. To make the place liveable you have to pay. No shortcuts are available. I don't live in Auckland,but to me,your view that the total cost of infrastructure be handed to Auckland ratepayers is ludicrous. Like it or not,Auckland is by far NZs major city and within a generation will account for some 40% of total population. It is important to the country that the city works efficiently and its major infrastructure needs to met nationally,as do many other major projects across the country. The government has,by international standards,a very low debt to GDP ratio and could easily borrow say $20bn for an infrastructure fund. this could then be used to fund water quality improvement projects and rail and road projects up and down the country. As a taxpayer,many of the these projects would not benefit me personally,but would benefit areas like Northland and as such, would have benefits for the country as a whole. Really !! You think because Auckland has not enough money to maintain it's own mess, that the nation should borrow for it. Not clever. I suspect technology advance will make this project dated before its finished, and redundant within a decade. I also think Simon Bridges knows that, so that means he is buying Auckland votes. I see why, when I read the comments above - none refer to the extent of change we'll see in transport in the near future. Are you saying we'll have teleportation devices in less than a decade?! I knew this public transport thing was all a big conspiracy. In the 50's they suspected we would have flying cars by the year 2000. Predicting the future is very difficult. Auckland's population growth is NZ's biggest unfolding financial crisis. The city is gridlocked with cars and trucks which means NZ's so called urban power house is hamstrung, inefficient and a financial liability for the rest of NZ. Population growth is so overrated as a financial model it defies logic that our media promote it and scorn the few politicians who argue against it. My generation, who own the land are getting rich from this population growth, But man are we sure screwing it up for our kids and grand children. This 3.4 billion railway to nowhere is going to change nothing and is a drop in the bucket of what Auckland needs. I bet we even import more people to build it. Oh well, i'll just count my money again and bask in my escalating property values. Finally, the govt has done something right. Rail is a no brainer especially with the population increasing. You rich people in Awkland need more borrowings to make you even richer. It is a bit rich that debt is needed to fund the roading for the biggest car park North of the Bombay Hills. Fund it by Tolls on the Rich and Famous...like Mr JK and Uncle Ben. To make it grow and keep expanding, they will need to borrow even more than ever, then hand the bill to the taxpayers. They do not care where the debt comes from, and the silly fools who compete with them to fund the even bigger idiots will have a job to catch up, Luc-key will know where he can set up a deal, at the drop of a hat...or a mandarin orange. To get Awklanders moving, about freely, will cost megabucks. So better import more rich dorks to fund your endeavours.. They are just passing debt on, from one country to the next. So what do they care, what it supposedly costs. Gridlock is totally abhorrent and apparent, to me. But so is screwing the workers, in favour of shirkers. And rich idle layabouts hastening your debt. So import more rich immigrants ...sadly ...like Mr John Key. He knows just how to screw up a system. It is called Government by debt and by golly, so far he has proved right...as bankers need debt to get ahead of the Game. Real money, went out the window years ago, debt is the driving force, but not on our roads yet, hence why Awklanders, may have to borrow more and pay taxes on it, like never before. Capital gains, are essential, it is a dream fallacy. But Awklanders ain't living off their Capital, they is just passing the buck, from pillar to post and wherever Uncle Ben dictates next.. Simple folk, working to pay their inflated mortgages, need to borrow more and more. Progress ain't working, it is borrowing. But then...some never actually realised that since 2008...just how far we are down the gurgler and up shite creek, without a ferry...or a bridge. Hence why we are in hock,,,to the tune of...hundred of billions.....and singing the praises of Mr Key....who put you suckers right in it...by importing it from overseas...and betting on the House...but not the Infrastructure needed. Have a nice day...it is so much nicer in the country, no traffic lights, no politicians and bankers, just living cheaply off the sod....and not for the,,,,,s-o-d-s in power. Stephen Selwood Chief Executive at NZ Council for Infrastructure Development was on Paul Henry this morning happily admitting that rate and taxpayers (public) were going to be footing the bill for the huge financial benefit the up-zoning with cause local property development owners (private) to receive because of this tunnel going in. Any financial benefit from up zoning because of this tunnel should be returned to the rate and taxpayers because they are they one that paid for it. Or If the private property owners want the financial benefit, then they should pay their fair share for it. There was a time when NZ governments encouraged economic development around the country. Then we had the laissez-faire ideology that favoured lopsided Auckland growth - with the mantra that when Auckland became too crowded jobs and people would naturally move to other centres and it would all balance out. But now that Auckland is a mess, and votes need to be bought, laissez-faire has been dumped in favour of subsidized development that will only encourage more lopsided growth. The best thing for Auckland and the country (it's not about us and them) would be to provide the infrastructure elsewhere, to encourage businesses and jobs to leave Auckland and go to centres where it's cheaper to do business and cheaper to live. Auckland wouldn't fade away, but it and the rest of the country would be more efficient and better off. But perhaps we're too stupid to want balanced growth when it's all about house prices. Most of the so-called regional development in the past was actually hamstringing Auckland and massive subsidies to the regions that didn't really provide that much development outside that government - Avalon studios didn't create a movie and tv industry in Lower Hutt. The main reason that business move to Auckland is talent. Why doesn't one of the large banks move its headquarters to Taihape? After all the land would be lot cheaper. Because it wouldn't find the staff there. No one puts a gun to the head of these companies to force them to locate in Auckland - there is no grand conspiracy. It's actually how cities work around the world. So what's the alternative? Internal passports and central planning of the economy. No thanks. Sorry, I didn't realise Auckland had the "talent" market in NZ cornered. Lets see how long Auckland can stand on it's own two feet when it cannot attract teachers, police, nurses etc because they cannot afford to buy a house or live there. By your theory you cannot expect the rest of the country to subsidise their wages. It must come directly out of the pockets of Aucklanders and because they are so talented and wealthy they can afford it. It is just one of the small costs of Auckland's success. Or we could be a forward thinking country and buy 100,000 self driving cars to service all Auckland residents instead of a select few for that money. Average 3 people per car per journey, and 5 journeys per day per car, that's the capacity to move 1,500,000 people per day. How many extra people per day is the rail investment going to move? These cars have to be on the road, right? I don't think the current congestion problem in Auckland is a lack of cars, it is a lack of road space. You can't fix that by automating the cars. Not sure I see how that works - if everyone wants to get to work between 7-8, then there will be just as many cars on the road at one time as there are now. Unless people car share - but why can't they do that with non-automated cars? When people own their cars, it's their private transport system, there is no real incentive to share/car pool. When a third party (council/government/business) owns the cars it's a shared mode of transport. The third party owner can enforce sharing by making it an integral part of the service, and if they choose they can charge more for those who insist on single person use, or simply not offer single person use. What a customer journey looks like for current public transport? Cost of transport covered ticket costs, and if you need a car to get to the pickup destination by parking fees, petrol, opportunity cost of capital, depreciate on vehicle, maintenance. What a customer journey looks like for private car transport? Cost of transport covered by parking fees, petrol, opportunity cost of capital, depreciate on vehicle, maintenance. What a customer journey looks like for self driving transport? Cost of transport - your CC is billed automatically for the journey, vehicle utilization is now 30% instead of 10% per day, average passenger increased from 1 to 3 per journey, so even with company profit, it should be a quarter the cost of car ownership, and no parking fees. It only arrives on time if there isnt a traffic accident and the experience has to be like a shuttle service. My bet is families will own the car and the car will replace the chauffeur. Take dad and mum to the train, take kids to school, pick up the shopping, charge the batteries, pick up the kids etc etc. Worth every cent i would say. If they're going to spend $3.4b on a train system, I would much rather the money was put towards a high speed Auckland to Hamilton commuter train service than a tunnel in the CBD. I personally feel that would provide a lot more benefit for a lot more people. For one, living in Hamilton and working in Auckland (and vice versa) would be a much more viable option. Considering the train lines into Auckland are already at capacity, how will these high speed trains get into Auckland city? The main purpose of the CRL is to double the capacity of the network as trains don't have to reverse out of Britomart. rail loop is a no brainer.... crazy people don't understand this. I guess they haven't experienced what decent public transport is. They need to get out and travel a bit to places that have good rail connections in their cities. . Unfortunately national are pathologically anti rail. You will drive your car to Auckland and you will love it. How much time does the average Aucklander spend circling round looking for parking spaces until they lose the will to live? Ive yet to hear who cleans the cars between use, i gues it could be built like a self cleaning public toilet, because they may be used as one. Are you referring to self driving cars? They know who you are, they know your credit card number. You make a mess you get billed for the cleanup. The cost of this still does not make sense to me. 2 tunnels 3.4 km long each, about 7 meters diameter through pretty soft geology. Manapouri tail race tunnel is about 10 km long, 10 meters diameter through the hardest granite in NZ, cost about $212 million in 2002 or $280 million in today's money. OK there are a few stations to build and the complications of marrying into the existing rail network but the volume of rock to be excavated in Manapouri was about 3 times as much as the down town link (maybe 2 times if you account for the stations and complexities). So how do we equate $280 M for Manapouri with $3.4 B for the down town link. "Metropolitan line. Opened in 1863, The Metropolitan Railway between Paddington and Farringdon was the first, urban, underground railway in the world." 1863 and in 2016 people don't think its a good idea to improve Auckland's rail ???????? Tight number 8 wire mentality that holds NZ back. Is Auckland Think Big 2.0 ? Immigration brings people and money. New residents with money end up building a modern house pretty soon. You know, one with 20th Century technology like double glazing and heat pumps, not 19th century technology like wood fires and mould. This adds people and housing but not productive capacity, we are not short of labour. Are wages rising faster in Auckland, or more slowly? Is there increased productivity or a decrease?